Spread some extra cheer this season! Your holiday shopping can support The Genesis Foundation! Amazon will donate 0.5% of the price of your purchases to The Genesis Foundation. Link to Amazon Smile today to get started. 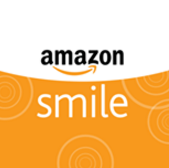 You can use the same Amazon account you normally use; simply select The Genesis Foundation as your charitable organization, and at no extra cost to you, Amazon will donate a portion of the purchase price! Here’s how.